Starting tomorrow at The Glen in Richwoods, Landon Homes will have “Nailed Down Hand Scraped Hard Wood Floors” as a STANDARD!!! Most luxury home buyers expect wood as a standard. So in the $400’s most builders are faced with this dilemma and choose to not include it so the price is lower. Landon has a superior advantage in Richwoods because Toll Brothers is around $80,000 above Landon, same square footage adding the wood floors. 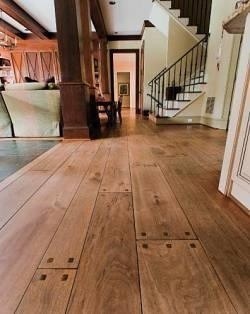 Wood Floors are definitely one of the top 3 amenities that buyers look for, and good for Landon to add this at the Glen. It will help! For more info on Landon Homes in Richwoods, click here or call Brad Holden directly at (469) 733-2723.